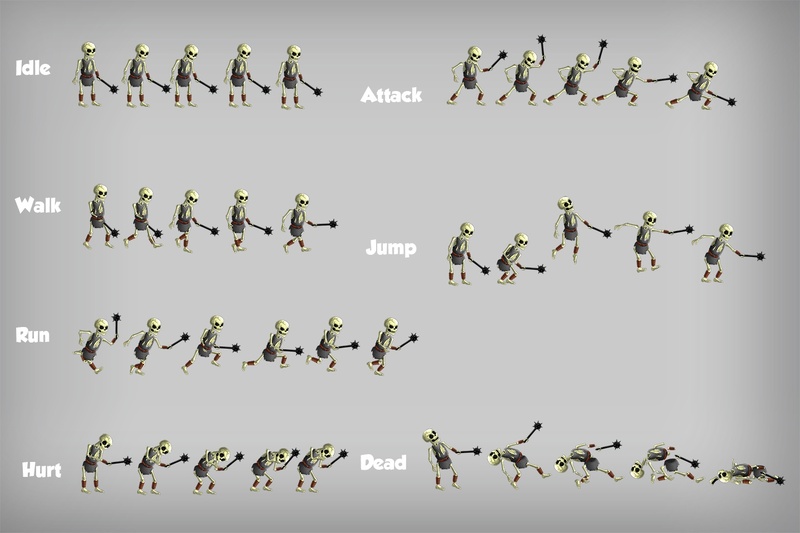 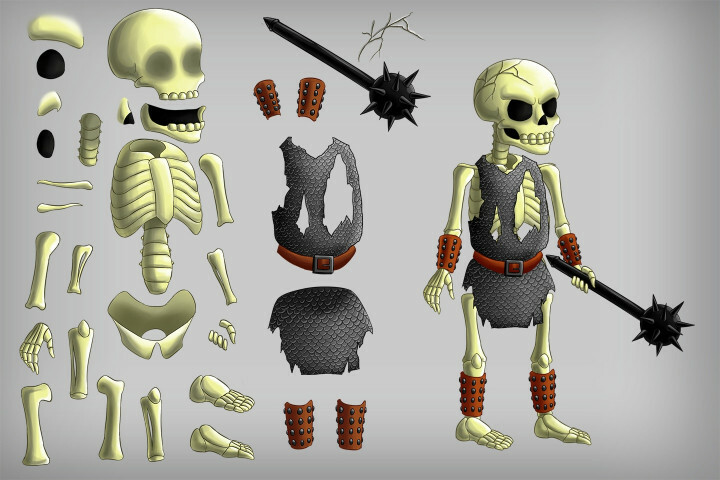 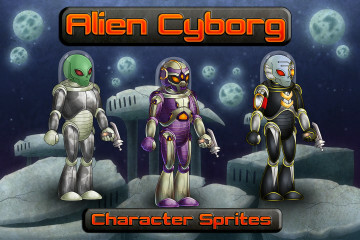 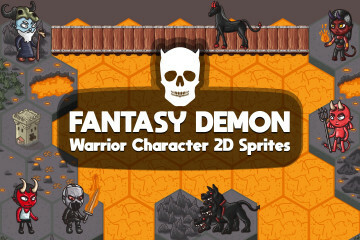 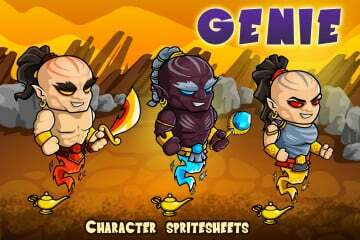 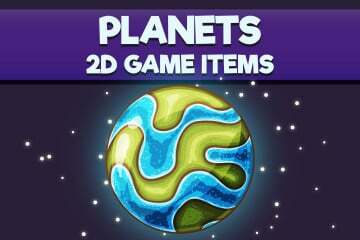 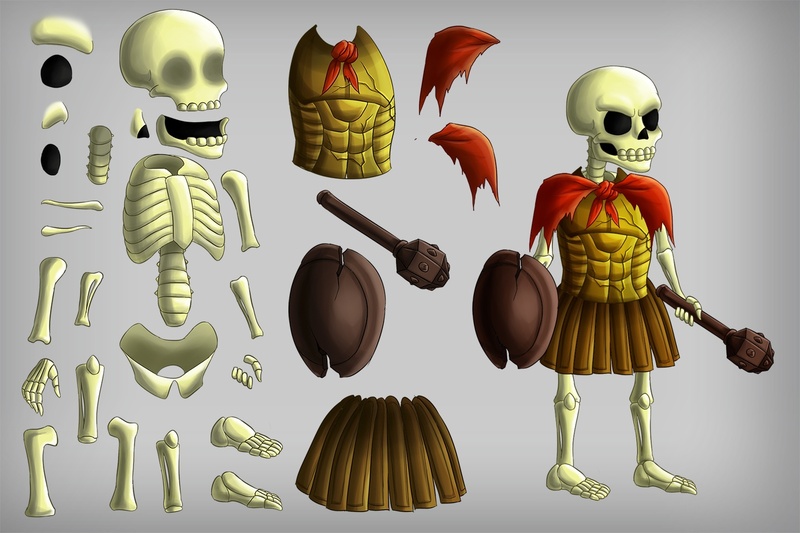 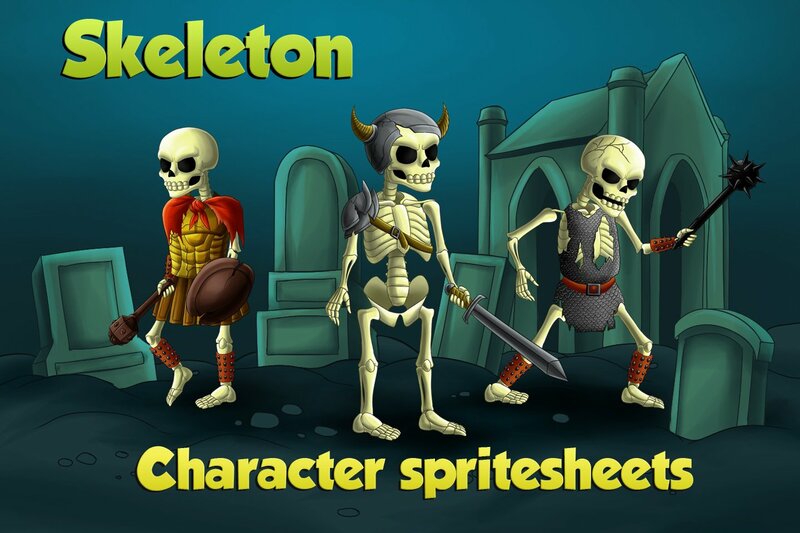 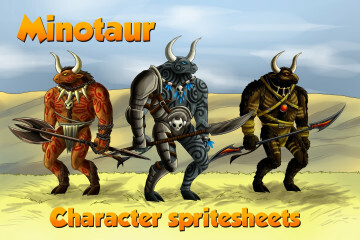 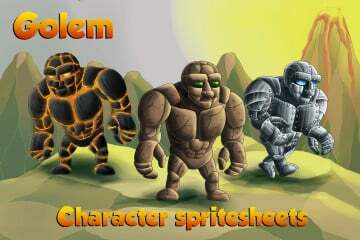 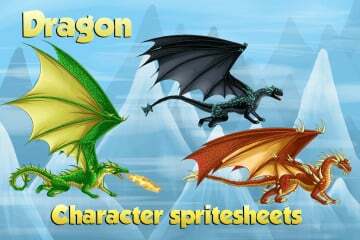 We represent 2D Game Skeleton Character Sprites set. 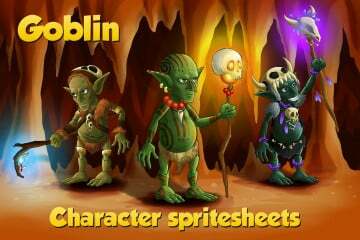 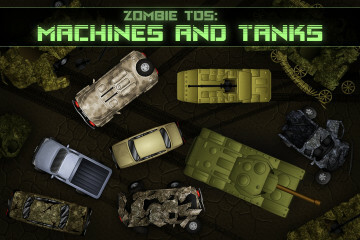 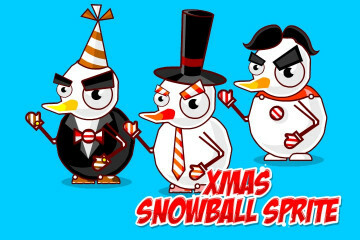 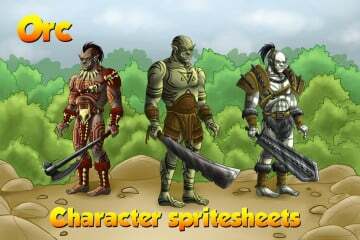 It is suitable for those who create the medieval fantasy game in which undead should be present. 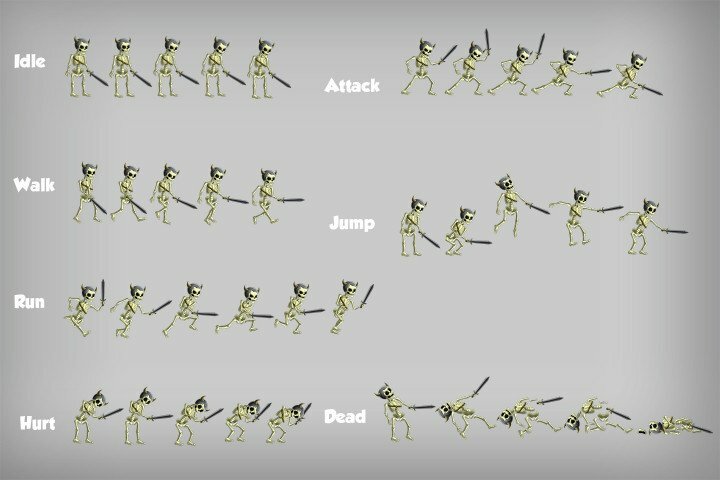 We made three kinds of skeletons and animated them. 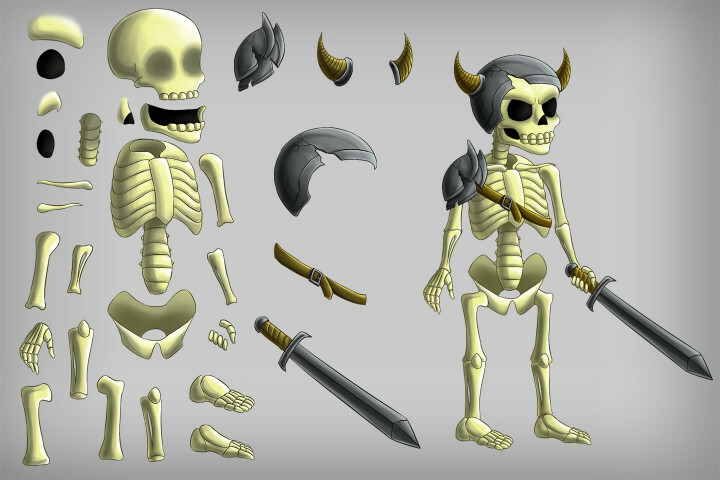 Each option differs weapons and armor. 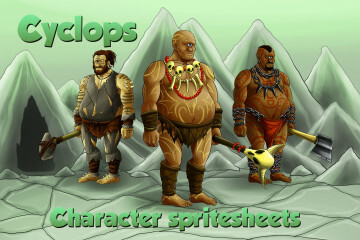 In the archive you will find PNG sprites, body parts, PSD files with multilevel structure of the layers. 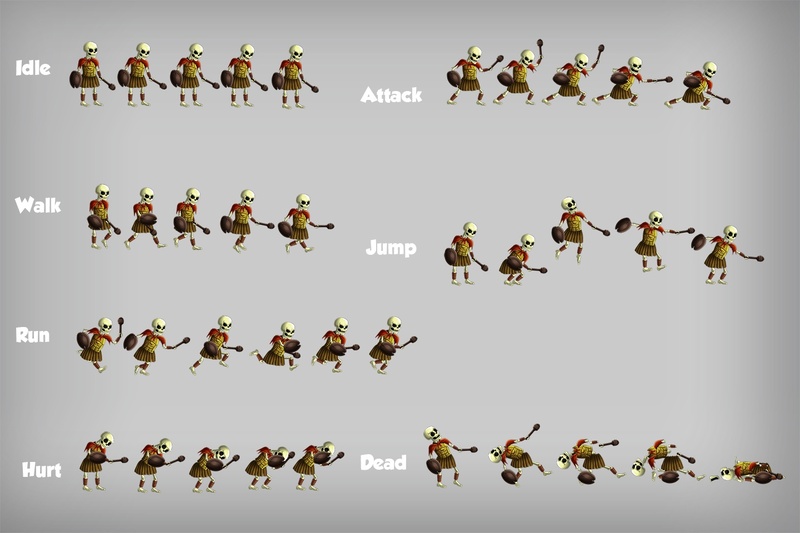 Also we made animation SCML file for the program Brashmonkey Spriter. 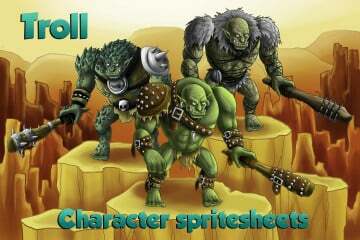 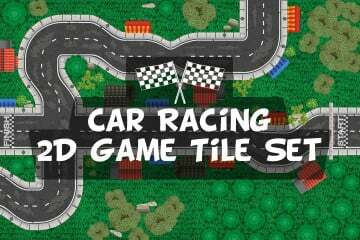 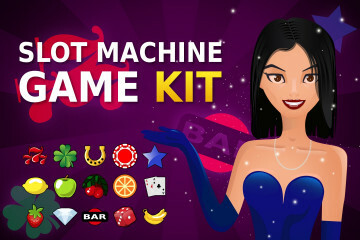 We hope that all this will help you to easily use graphics in your project.